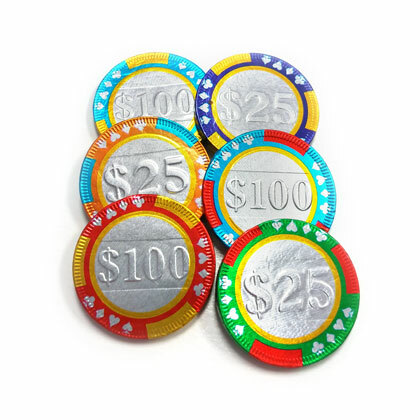 Whether you play the slot machines or the blackjack table, you'll love these chocolate casino chips! Milk chocolate. OU Kosher Dairy. Approx. 1.5 inches in diameter. Approx. 5 pieces per ounce and 1.5 inches in diameter. 6 oz bag.